While I have so recently been reminded by our friends in the 101st Chairborne that I’m some arugula-chomping, word-chopping, bubble-bound faux-American, it happens that even folks from my particular corner of Alinskystan talk to people whose daily life is as real as it gets. Which is to say that one of my friends most often in my thoughts is an infantryman to the bone, decades in uniform, absolutely dedicated to the idea of service and his men. He’s an enlisted man, on his third tour in the Iraq/Afghanistan long war — and you can take this to the bank: if you or your child had to hump up some hill where folks sought to do him ill, you’d want my friend there too. He’s one of nature’s sergeants, I’m trying to say, the kind of guy who knows what he’s doing to some very deep level, and takes the use of that knowledge as an obligation he owes anyone under gaze. In December, I wrote him a quick note — just a “happy holidays – hope you’re OK” kind of thing. When I got his reply, I asked for permission to post it here — which I’ve just received. My friend speaks for himself. I’m not going to gloss it further except to say this: I’m past tolerating being told by comfortable American Exceptionalists about the necessity of the next war, or the war after that. My friend and his friends carry the load for all such Dulce et Decorum posturing. I am still in Afghanistan in [Deleted] province at an altitude of [Deleted] feet. We have no heat in our bee huts (plywood shacks that sleep six), the temperature at night is in the low teens. They tell us they are working on getting a heater. It is a tough tour. We lost six men to an IED three days before Christmas, [not his unit] we worked closely together and I knew them well. We have lost twenty Americans since I arrived. Today I was on an air mission we flew high into the mountains in a heavily Taliban controlled area, luckily we had no trouble. War is a strange thing, going out on missions almost everyday and not knowing if it will be your last day on earth. We work with the provincial governors and sub governors to build roads, bridges, schools, and give out humanitarian aid, but the leaders steal most of the money and little gets down to the people. 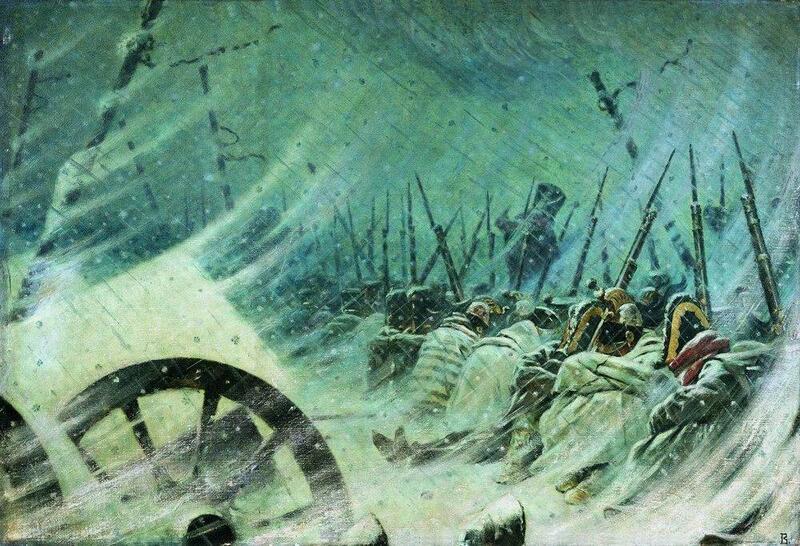 I am out in the boonies, we fire artillery all day and night and they rocket us. Soldiers…are killed and wounded almost weekly, the call goes out over the loud speaker all this type or that type of blood report to the aid station. I have carried wounded on to helicopters in the field and carried others off the helicopters back at base. It always makes my eyes water and heart hurt to see their broken bodies. It is surreal. I will finish my tour in [Deleted], I had a short leave home in [Deleted]. It is interesting; we raid villages at night and capture terrorist responsible for the bombings, we caught the ones who killed the Polish the night before last. I am fine. I am an old soldier, and still tough, I plan missions and lead them and so far, thank God, I have not lost one of my men. The fighting in Ramadi Iraq was more bloody, but this place is no joke either. I will never understand why nations go to war, I know the politics, countries do bad things, but it is so ugly. I now have a collection of faces of men that I knew who have been killed in action that live in my head. I am sorry to write like this but I guess I was feeling philosophical. I hope you join me in sending every good wish and hope to my friend. That is all. 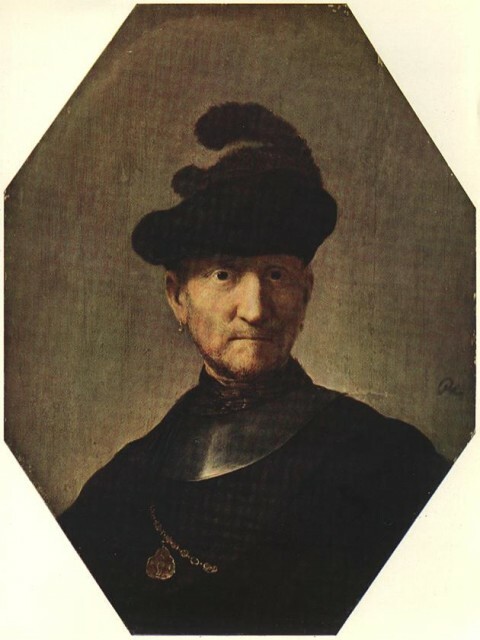 Image: Rembrandt van Rijn, Old Soldier, undated — first half of the seventeenth century. Categories: Afghanistan, War, Who thought that was a good idea? Quick Hits: Really bad, sad news dept. See this update on the state of the war against polio. A little context: In this post, I made a glancing reference to the eradication of smallpox, a victory achieved in 1979 after a twelve year campaign. It is still the only human viral pathogen to have been completely eliminated from the wild. The effort to eradicate polio formally got under way in 1988. By 2006, endemic polio remained in just four countries, Nigeria, India, Pakistan and Afghanistan. It still does today. One of the reasons that the disease has not progressed rapidly to elimination is because of a deep, anti-science bias within the remaining affected communities, couched in Islamic fundamentalist terms. In Pakistan, site of the most recently reported case, (an eight month old girl — have a thought for this tiny stranger amidst the larger fury of the day), the impact of the Taliban and allied militants in the border territories has basically stifled the anti-polio campaign. For example, last November, the New York Times reported, inter-alia, that Maulana Fazlullah, leader of one of the pro-Taliban movements in the region demanded a halt to polio vaccinations for children, claiming that the vaccination made men impotent. Such nonsense is hard to combat, especially when backed up by credible death threats to vaccine workers. This is clearly first and foremost a home-grown, and tragically self-destructive pathology within the communities in which endemic polio persists. “vaccination programs can be an effective strategy for winning hearts and minds. So while the wars in region are implicated in the persistence of an eradicable scourge under the heading of unintended consequences — it is at least conceivable that those campaigns might be advanced by the soft-power of a public health campaign. Here’s hoping. 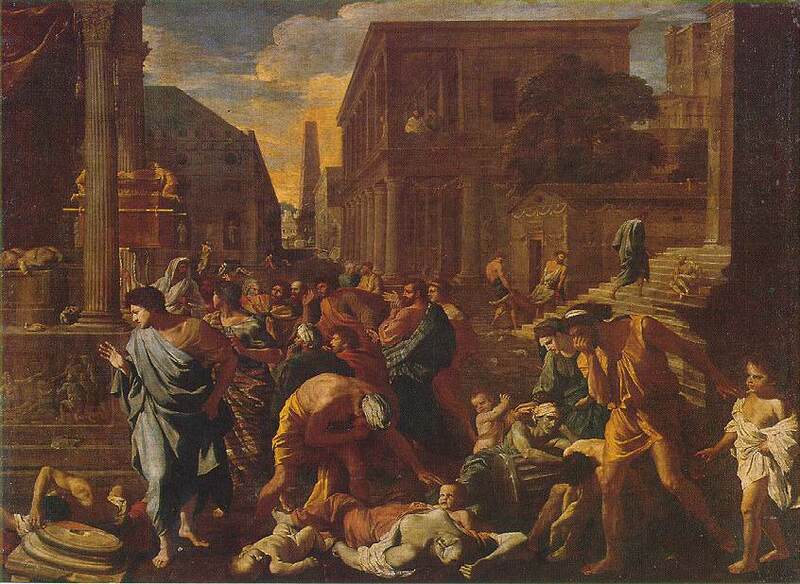 Image: NIcholas Poussin, “La Peste d’Asdod” (The Plague of Ashdod) 1630-31. Source: Wikimedia Commons. The running theme of this blog is the importance of being able to count. Genuinely elementary arithmetic, if actually applied, is the foundation of scientific thinking, and scientific thinking is how we arrive, however imperfectly, at reliable guides to experience in the world. That said, this post is another in my informal series arguing that because John McCain can’t count, can’t take advantage of the tools of analytical thinking, he is unfit to be President. A corollary of the argument I’m about to make is that the latest news out of our multiply mismanaged foreign wars provides independent support for General Wesley Clark’s argument that Senator McCain’s military career has not given him the experience needed by a President. This: the Chairman of the Joint Chiefs of Staff, Admiral Mike Mullen, yesterday told reporters that the US military has run out of troops, that it cannot dispatch more units to Afghanistan, where the Taliban is on the rise, unless and until the US draws down its forces in Iraq. Today, our new counterinsurgency campaign is showing signs of success, and John McCain believes we can still prevail in Iraq if Washington politicians exercise resolve not panic. Remember: Amateurs talk tactics, professionals study logistics (a quote attributed to General Omar Bradley). Leave aside the question of whether or not the surge is working even in its own limited sphere. (There is, sadly, a very strong argument that its primary accomplishment has been to prop up an unpopular, inept, Iranian-leaning government, leading to a decrease in US power, and an increase in that of our primary regional rival. See Michael Massing’s latest from Baghdad for the depressing details. Back on track: the question isn’t just whether or not the surge can work in a local sense, but whether it does now or ever did make sense in the context of the larger war in which we were and are engaged. The answer was and is no — because the ground forces at our disposal were insufficient for the task of fighting in Afghanistan at the level of intensity required even before the surge began, and more or less everyone in a responsible position knew it. The military equivalent of the green-eyeshade folks knew in in 2004, as Sy Hersh documented way back then, that the diversion of resources to Iraq threatened operations in that first theater of engagement — the one that actually hosted those who did us harm on 9/11, the ones whose presence on the border was disrupting a key ally, which also happened to be a genuinely nuclear armed Muslim-majority state. They certainly knew in late 2006 that John McCain and the rest of the armchair generals, those daring knights of the keyboard (h/t Ted Williams) who called for winning in Iraq by shoving a brigade here and a battalion there, were talking tactics, and ignoring logistics. At that moment, Afghanistan was already receiving scant attention. The Taliban and its allies were already resurgent. Pakistan was already spiraling into political turmoil. The war we failed to finish was and is now in danger of being lost — and no professional, no one who understood the hard data of what it takes to keep boots on the ground, had any reason to doubt what would follow a further starving of this campaign to pour more resources down the sump of Iraq. This isn’t higher math; this is arithmetic. And what of McCain? He has focused his claim on the Presidency on the assertion that he has more experience than his rival, especially in military matters, which is certainly true. But General Clark raised in public the issue that a lot of folks have wondered about for a long time: what is the impact of that experience on McCain’s judgment and decision-making. Now, Admiral Mullen has given us the sadly obvious answer: not much good. It helps to be able to count. The half a percent solution follow up: Obama’s Afganistan numbers. …It has diverted attention from Afghanistan, where al Qaeda, that killed 3,000 Americans, are stronger now than at any time since 2001. I heard from a Army captain, who was the head of a rifle platoon, supposed to have 39 men in a rifle platoon. Ended up being sent to Afghanistan with 24, because 15 of those soldiers had been sent to Iraq. And as a consequence, they didn’t have enough ammunition; they didn’t have enough humvees. They were actually capturing Taliban weapons because it was easier to get Taliban weapons than it was for them to get properly equipped by our current commander in chief. Now that’s a consequence of bad judgment, and you know, the question is on the critical issues that we face right now who’s going to show the judgment to lead. And I think that on every critical issue that we’ve seen in foreign policy over the last several years — going into Iraq originally, I didn’t just oppose it for the sake of opposing it. I said this is going to distract us from Afghanistan; this is going to fan the flames of anti- American sentiment; this is going to cost us billions of dollars and thousands of lives and overstretch our military, and I was right. Afghanistan is going badly right now — and has been for a while. But people who read too much of Boys Magazine (or perhaps a stray columnist, straining to bend a dimly remembered, perhaps unread Rudyard Kipling to support his cartoon version of war and the world) still believe that the old school try, pluck, and a handy Predator or two are all it takes to prevail in combat or in so-called Grand Strategy. But they don’t call it “military science” for nothing. It may be — it is — a highly imperfect discipline. Even so, people who have actually spent time on this stuff, and especially those who (unlike me) have tested what they have learned in the face of the enemy, know that 24 soldiers can’t do the job of 39 on any sustained basis. To succeed in war — or really in just about anything of consequence — you have to be able to look at the data head on. You have to be able to count. We haven’t seen that faculty much in use at the top levels of our government (or much of the media) for a while. It’s past time we did. 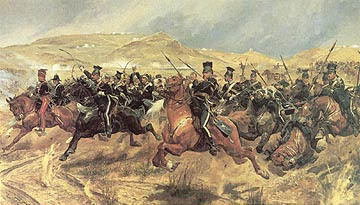 Image: Richard Caton Woodville (The Second) “The Charge of the Light Brigade.” Source: Wikimedia Commons.